Kaysha Love is a former Level 10 gymnast, but she decided to change things up in her life and switch to track and field her freshman year of high school, a wise choice as it turns out. The second she stepped onto the track, she made an impact that would forever change her. She was one of the state’s fastest runners right from the outset and that has continued right on through this, her junior season. 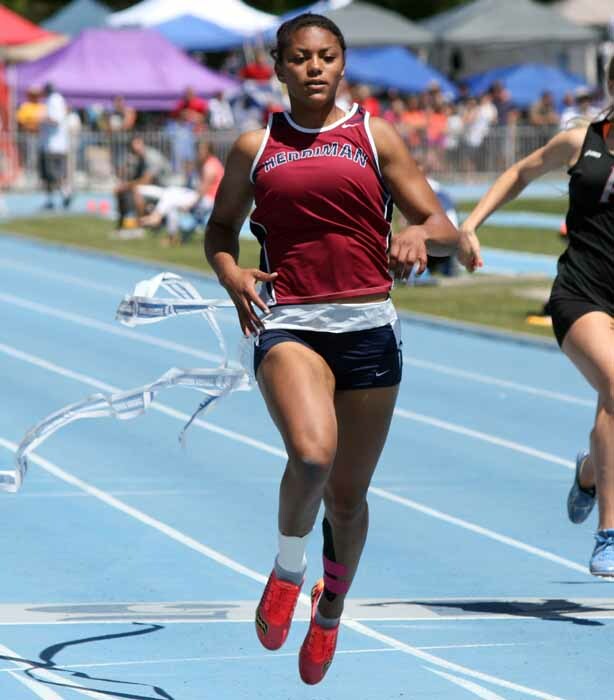 During her first-ever high school meet in 2013, Love ran the 100 meters in a time of 12.01, just .16 short of the state record set by a Aubrie Hale of Brighton in 2010. That same year, Love broke the 4A state record in the 200-meter sprint with an incredible time of 24.68 on qualifying day at the state meet. The next day, she ran an amazing 24.13 to nip three-time defending state champion Lauren Baxter from Timpview by .04 for the title. That time would have been a state record but for the wind rating being above the allowable limit. After a noteworthy first season, Love has gone nowhere but up. 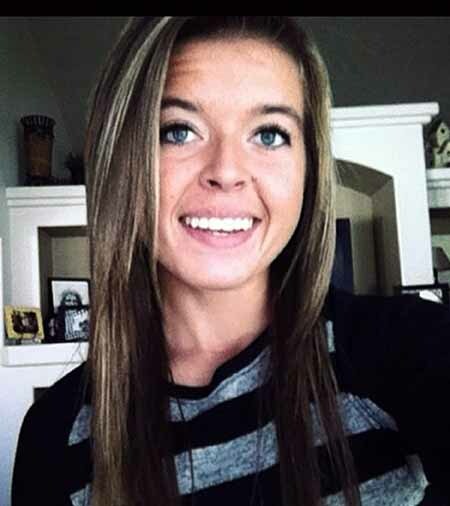 She beat the incredibly talented Baxter in the 100 final in 2013 as well and then Herriman was moved to 5A the following season, putting her in line for a whole new set of records. When Stephanie was asked her thoughts on the reason behind Kaysha’s success, she said it’s her drive, competitive edge and crave for perfection. Her sophomore year came around and Love continued to prove how strong of a competitor she was. During the indoor season at the UHSTCA Coach’s Invitational she came first in the 200 meter with a time of 24.96 and in the 60 meter with a time of 7.69. 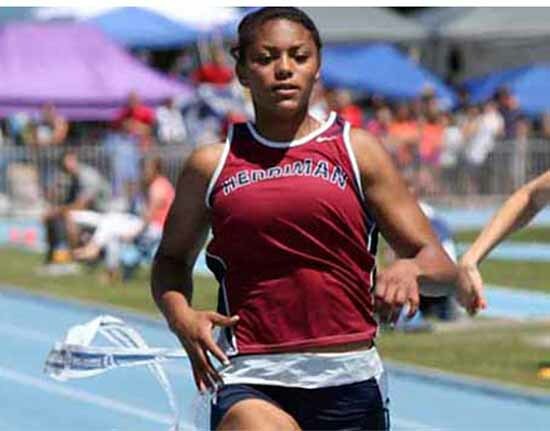 She was just as successful during the outdoor season when Love took first place in the 100 and 200 meter races at all of the meets, including the 5A state championships. 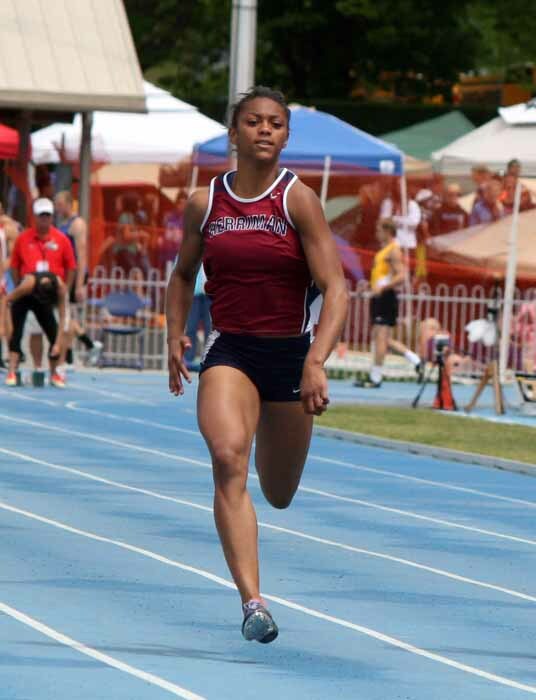 Now, as she is finishing her junior year, she has the best time in the state once again in both the 100 and 200. She feels she has grown as an athlete over the past three years. Notable performances by Love this year include first place in the 200 meter with a time of 24.33 at the Davis Invitational and a first-place finish in the 100 meter with a time of 11.84 at the Herriman Twilight. The junior was invited to the Arcadia Invitational, one of the most prestigious and competitive track meets in the country. There, she took seventh place in the 100 meter with a time of 11.91 and seventh place in the 200 meter with a time of 25.11. As far as the future goes for Love, she wants to continue her track career as long as she can. Herriman High senior Caitlin Gomez wrote this story as part of the Preps Utah/Nu Skin student journalism program.